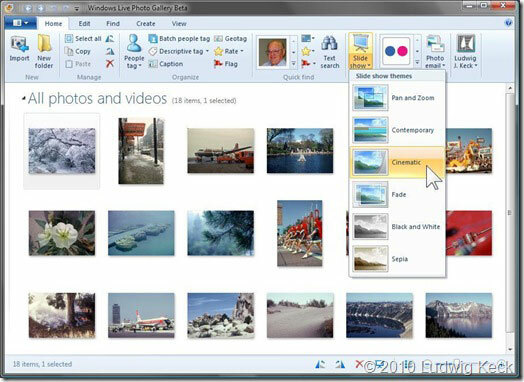 What is current version plugin Windows Live™ Photo Gallery? This plugin is often found on Firefox browsers and is installed by default, or installed by the user. When installed, this plugin will interact with Windows Live, a photo gallery that is meant for the Windows operating system. When installed, the plugin will allow your browser to interact with the program installed on your computer. Think of this as a gateway that allows data to be shared among your browser and the Windows Live Photo Gallery. It’s a link that allows for added functionality between your browser and the program, and makes usage streamlined instead of cumbersome. Currently, this is part of the Windows Live Essential Suite. Everyone takes pictures. Whether you’re taking pictures of yourself, friends, family, landscapes or even your family pet, you’ll need a way to organize all of your photos and view them in one place. Placing them on your computer is the smart choice until you realize that there isn’t a nice and easy way to view pictures unless you open them all up one at a time. The Windows Live Photo Gallery allows just that. View: Pictures can all be viewed in one window. This can be modified to view the pictures by date and size. It’s also possible to change the view to look at smaller or larger preview icons of the picture. Edit: Users that want to edit their pictures can now do so in the photo gallery. This isn’t as advanced as other photo processing software, but it will let you crop out the picture or edit the picture to make it ready for the world to see. Sharing: Want an easy way to share your pictures with the world? The plugin allows you to easily share the pictures right on your favorite social media networks. This is where having the plugin installed is very beneficial for the end user. Organization: Scanning your computer for pictures is very Photo Gallery will scan all of your albums and allow you to organize them right in the window pane. You can also have photos categorized by date so that you can find all of your most important or personal photos taken at a specific time. Ordering: One of the most overlooked features. Users are able to order prints of the pictures they have right through the photo gallery. Burn to CD: Want to create a hard copy of your images for safe keeping? You can burn your images directly to CD right through the application. It’s an easy and fast method to backup or share your photos with loved ones. With a basic editing suite, it’s possible to take stunning photos and make them even better right through Windows Live Photo Gallery. One of the things users do complain about is the long installation of the standard Windows Live Photo Gallery. You will need to install this software to make any use out of the plugin installed on your Chrome or Firefox browser. The optimizing tools further need to be updated due to slow performance. Again, this is the latest plugin and the photo gallery is free, so it is a great choice for most users. The latest English version was released on March 20, 2015 and is version 16.4.3528.331. Microsoft is slow to update the photo gallery, but they do add features a few times a year. 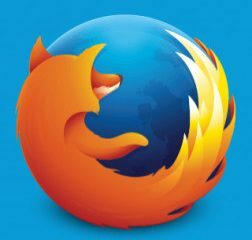 Firefox and Chrome will have the appropriate plugin installed or updated upon downloading the latest, current version plugin for Windows Live Photo Gallery.